When he dies, he divides the territory into 3 equal parts among his sons. -LONG HAIRED KINGS IN FASHION! -Founding story. Quinotaur mated with a chick. Oh baby. -Like, literally. Baby. They had Merovech. He was….wait for it…half Quinotaur. -Was Merovech step-father descendant of Priam of Troy? Sounds legit. 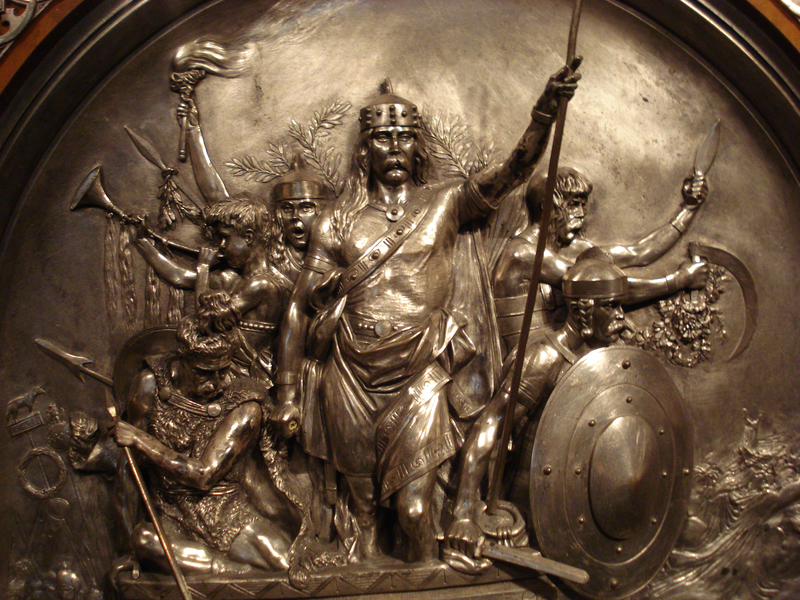 What: Mythical Founder of the Merovingians. Half Quinotaur. Half Trojan. All badass. True heir of Rome ya’lls. Son gets training at Austrasia by Mayor of the palace. Mayor chosen by powerful aristocrats. Both Queens, authority as mothers as well. Both started at low status. Bishops found a problem. They felt that they were spiritual leaders. How do we know who is a saint? -Miracles associated after death. No longer living, active authority. In Frankish Church, Bishops figure out how to be both spiritual and administrators.